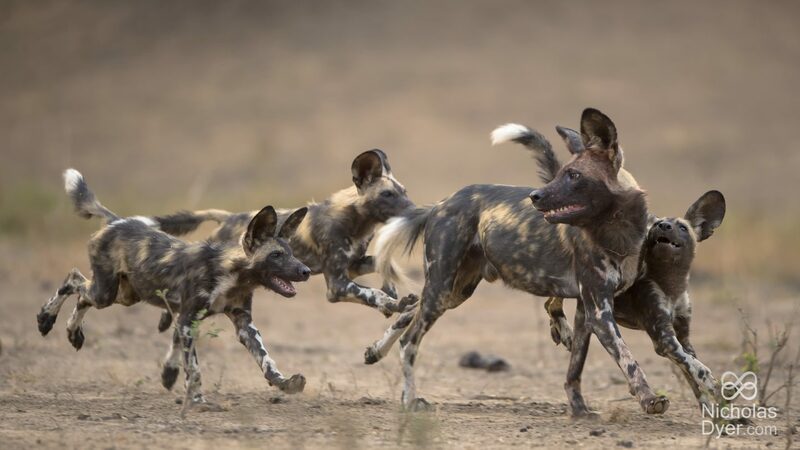 Poaching remains the single biggest threat to not only African wild dogs but all wildlife in the buffer zone surrounding Hwange National Park, which is defined as the core operating area for Painted Dog Conservation (PDC). The socio economic situation in Zimbabwe remains dire and as a result the pressures that drive poaching are ever constant. Unemployment levels are high and with the majority of people in the region depending on erratic rainfalls, simply to survive at a subsistence level, they turn to illegal hunting practises. To help combat this, PDC established anti poaching units in August 2001, to carry out anti-poaching patrols on a daily basis throughout their core operating area. In addition, the PDC APU supplements the work of the national park rangers by carrying out joint patrols with them inside Hwange National Park. In doing so, they provide a blanket of protection over a region of approximately 10,500km2 and have collected more than 20,000 snares to date. PDC run a Children’s Bush Camp Programme that provides a totally immersive conservation education experience, free of charge, for all grade six students from the primary schools surrounding their core operating area. The programme introduces students to native species, ecological relationships, the adverse effects of extinction and the need for nature conservation. Concepts are reinforced through hands-on, creative activities in small groups. PDC’s main activity consists of day to day monitoring of the various study packs in their core operating area. Data on the Hwange National Park population demographics is collated from direct sightings, photographys, and sighting sheets. Each dog has a unique coat pattern, making photographs or video footage the most valuable tool in determining pack and pack structures and for distinguishing one pack/individual from another. All images by Nicholas Dyer.